Working with associated objects in a web service. Introduction to the repository and unit-of-work patterns. Most students in the course are familiar with associations between objects. This section, and the next, will refresh your memory. If you need to learn about associations between objects, continue reading and studying. a ‘Manufacturer’ has a collection of ‘Vehicle’ objects. a ‘Vehicle’ is made by a ‘Manufacturer’. 2. In the manager/repository, when the code fetches the object, add the Include() extension method to fetch its associated collection. 3. In the controller, add a method that will call the manager/repository method; a typical pattern is to use a query string parameter. If you have an entity that has an associated object – for example, a Subject belongs to a Program, or a Product belongs to a Supplier – you may want to return an object with its associated object. 2. In the manager/repository, when the code fetches the object, add the Include() extension method to fetch its associated object. Think about your ‘manager’ class. It has data service methods for fetch, add, change, and delete. For each entity. In the near future, you will be working with many entities. What would the ‘manager’ class look like with methods that handle a dozen or so entities? Lengthy, and filled with repeated code. Yes. We can use a ‘repository’ pattern. A warning: The ‘generic repository’ topic is widely discussed on the web. Your professor has yet to find a treatment that meets our objective (which is to create a modern web service that is safe, reliable, scalable, and adaptable). The biggest problem is that all ‘generic repository’ examples out there assume that you are always working with domain (i.e. design model) objects. We don’t want to do that. We require the controllers to work with resource model objects, so their interface to the repository (via repository methods) must read and write resource model objects. So don’t waste time looking for solutions ‘out there’. Work with THIS information. If you believe that the information is not enough for you to complete your work, contact your professor (and as a result, this information may be edited). Using the repository pattern yields one more future benefit – testability. If we have time in this course, we will study this topic. We change the way we work with the ‘manager’ class. Starting now, the role of the ‘manager’ class will be contain business or application logic. We will not use it much for typical data access operations. What ‘new’ components are involved? 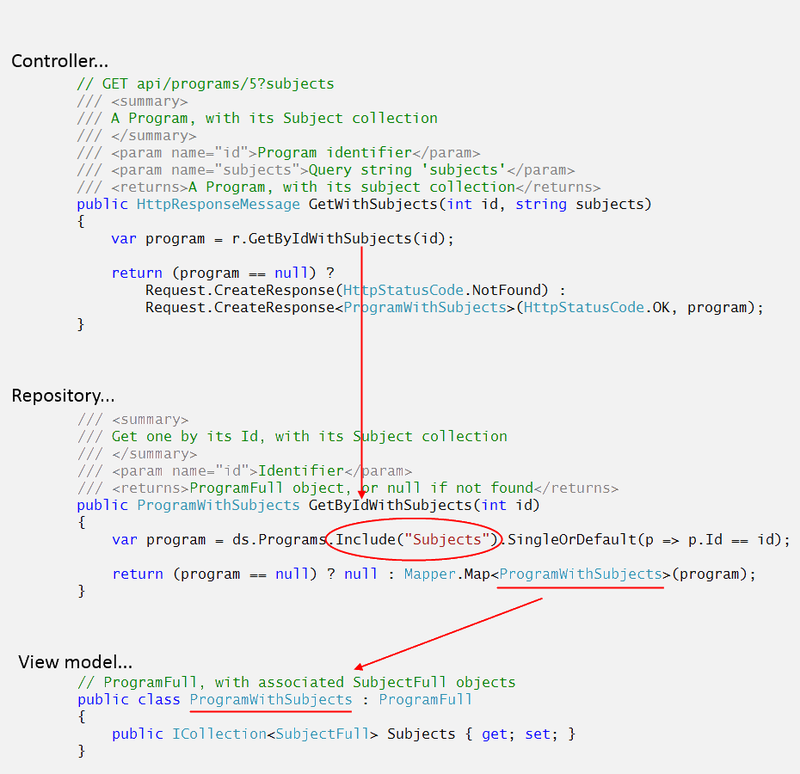 The repository base class is marked as abstract. This simply means that you cannot create an instance of the class, but you can inherit from it in a derived class. Note that his abstract base class (ABC) includes a type parameter (T), which is specified/named in the derived class’ declaration. 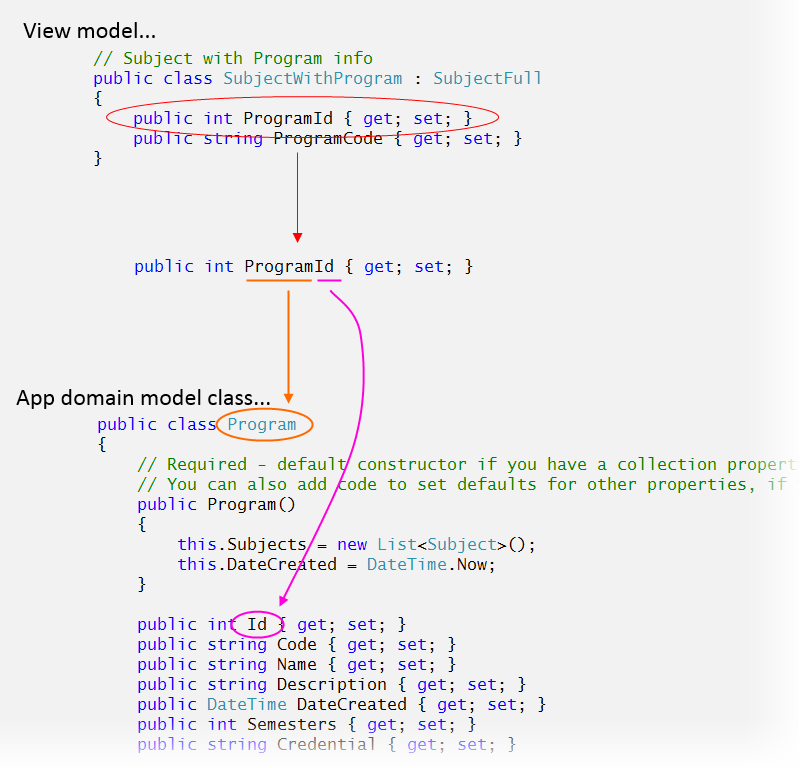 write custom public methods in the derived class. The work that the custom public methods do, as you will see, is mostly object mapping. As noted above, a repository’s public interfaces MUST be defined by using resource model types (and can also include .NET Framework types and void). DO NOT leak details of the domain (i.e. design model) classes outside the repository. Study the methods. Notice they often accept a resource model argument, and return a resource model object or a collection. Also notice that they often call a method (which begins with the upper-case letter “R”) that was defined in the ABC. Please note that you do NOT have to use the “R” methods. You are NOT forced to use them. If you need custom functionality, simply write your own method. Your code has direct access to the _dbset variable, so you can perform data operations directly on the data store. The purpose of this class will be to act as a ‘gateway’ to the app’s data model. A controller will have a reference to an instance of this unit-of-work class. This class has references to each entity collection in the data context. Nice and centralized. In the code example named PatternsIntro, look at the Worker.cs source code file. In your past work, each controller declared a reference to a ‘manager’ class. Simply replace that with a reference to this unit-of-work class. That’s all you have to do.